Each season brings with it a crucial stage in the winemaking process. Each year on the 1st April, Grosset Wines releases three limited production wines; Grosset Piccadilly Chardonnay, Grosset Pinot Noir and Grosset Gaia. Autumn is also the time in which these wines, due for release the following year, or in the case of the Grosset Gaia two years time, are tasted barrel by barrel and then, following a complex process of trial blending, the final wines are assembled and bottled in February. This ensures that the wines receive another year or so cellaring in the bottle before their release. Each wine is bottled within one day to ensure consistency. During this period, the winery is a very busy place to be! This is when the grapes are hand-harvested, and are de-stemmed and crushed before they are pressed. See Vintage for more information. Every wine is made up of numerous components, often more than one clone of the same variety, all fermented separately. This contributes to the high degree of consistency in quality, as each component must pass the blending process, ensuring that it is worthy of a place in the final wine. Trial tastings of each wine can take from days to weeks to complete, and ensure that the final wine is of the highest standard. 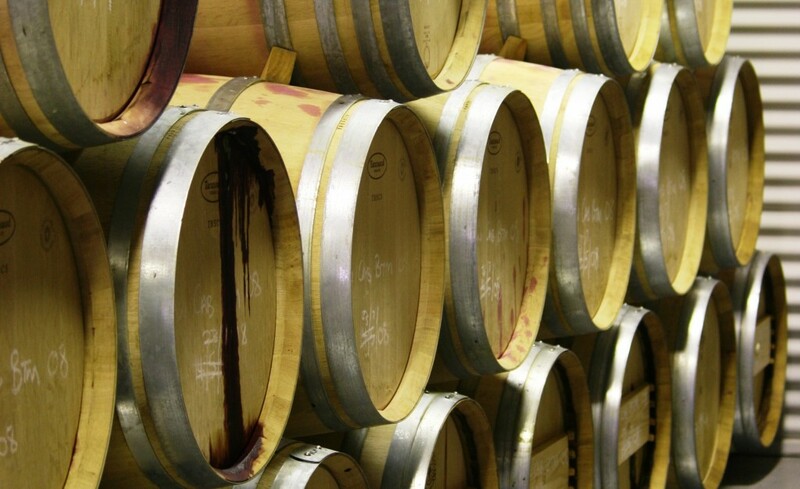 Due to the small quantities involved, bottling of each wine is usually completed within one day. Only the highest quality materials are used. All bottles, including the riesling bottles which are a design exclusive to Grosset, are produced by Saverglass, a specialist glass manufacturer in France. All wines are bottled using the international standard screwcap and the strictest quality control, ensuring that each bottle is consistent in both taste and aging potential. September marks the release of the Grosset Spring release wines. 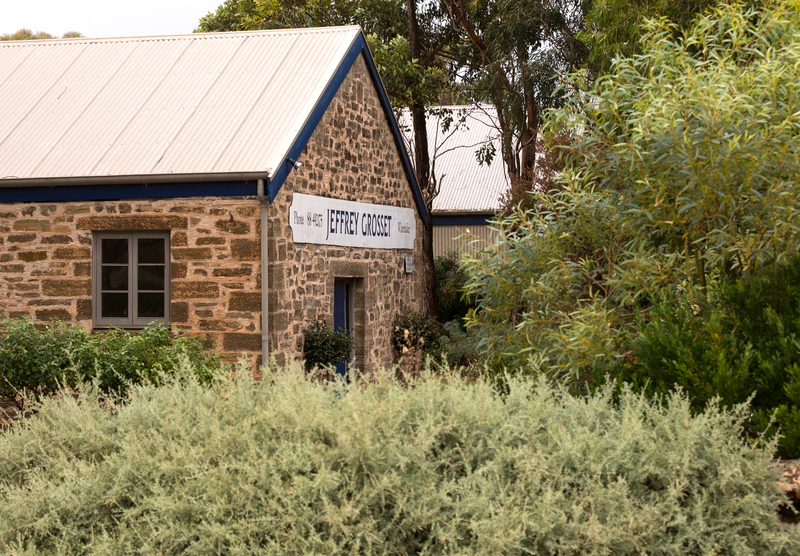 Grosset Wines’ cellar door opens on the Saturday of the first weekend of September each year and is open for Spring Wed-Sun, 10am-5pm. The hand-tended vines shoot in Spring, which for Grosset means shoot thinning. Surplus shoots, or ‘water shoots’, are removed from the vines to avoid crowding of the fruit. During this time, the vines are trained to grow upwards, rather than out. This promotes air circulation below the vines and minimises the risk of disease, allowing organic farming to be more effective. The fruit is inspected regularly to check the progress of fruit development. The best way to achieve this is to simply walk the vineyards.